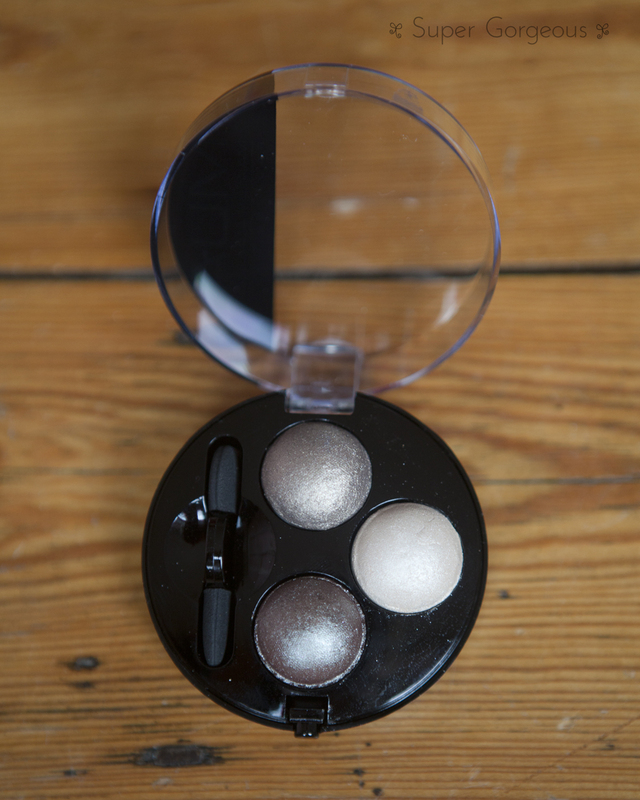 When MUA released their Pro range, along came the eyeshadow trios - a small circular palette in which three eyeshadows pop out in a dome-like fashion. I must admit, I went a bit crazy and bought 5 different trios, but at only £2.50 a palette I didn't break the bank. The colours are all quite shimmery, which is probably my only downside - but they actually seem to work. The back of each trio gives you a guide of how to use the shadows - use the darkest shade to define and line, the mid shade to blend and shadow, and the lightest shade as a highlight. 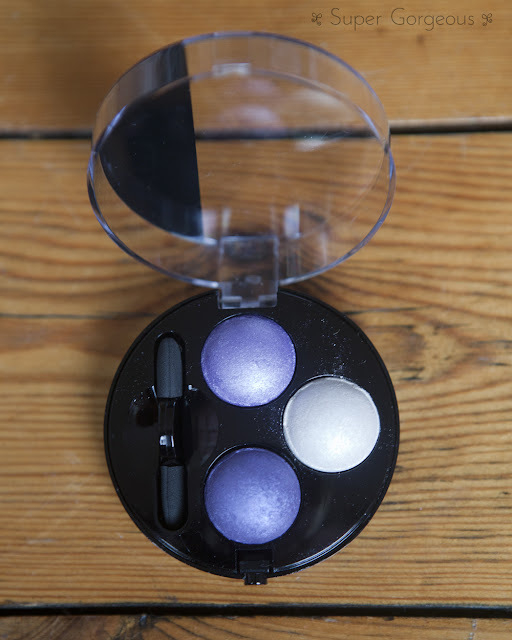 A small sponge applicator is included in the trio - which at one end is pointed for applying eyeliner and the other a normal eyeshadow sponge. I probably won't use it, but it's handy for on-the-go touchups, if you like that kind of thing. I generally found that these shadows were very pigmented and lasted the entire day. I'm going to show you three of my trios today - out of interest, I used the shadows as suggested, then lined my eyes using Urban Decay's 24/7 liner and Benefit They're Real mascara. Although they're "pink" they actually come out quite brown, in a tone that I really love. 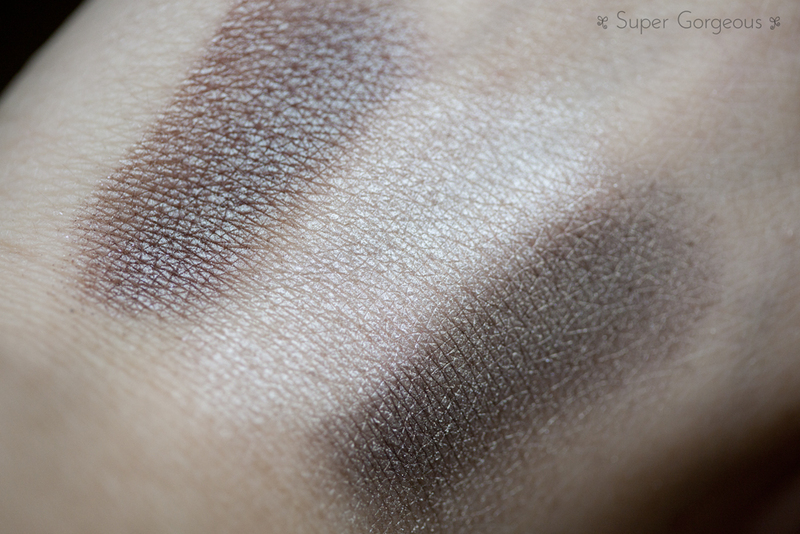 The darkest colour is just gorgoeus, and I would definitely buy it if it came as a single shadow. Literally every time I have worn this, I have been asked what eyeshadow I'm wearing. I love it! Yeah ok, don't look at how rubbishly it's applied around my eyebrow!! 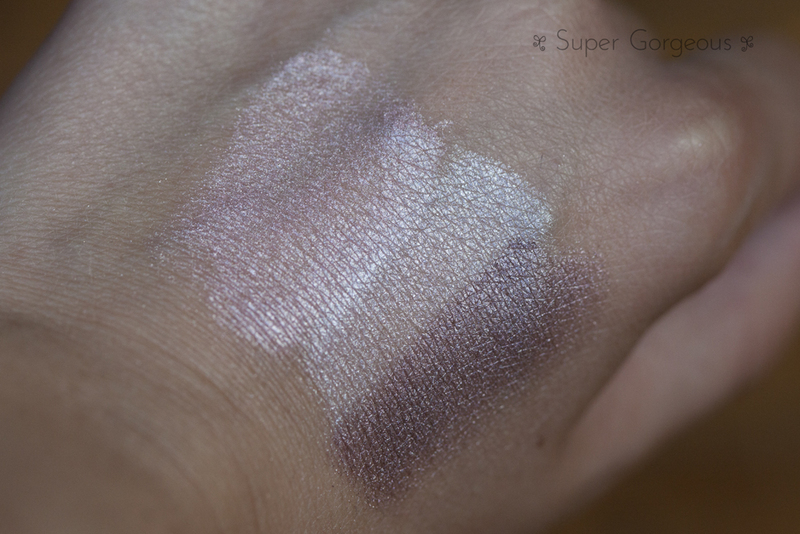 The photo of the shadow on my eye has come out a lot warmer than the swatch on my hand. I'd say the hand swatch is more true to life, but it's not quite as heather blue once it's on the eye. 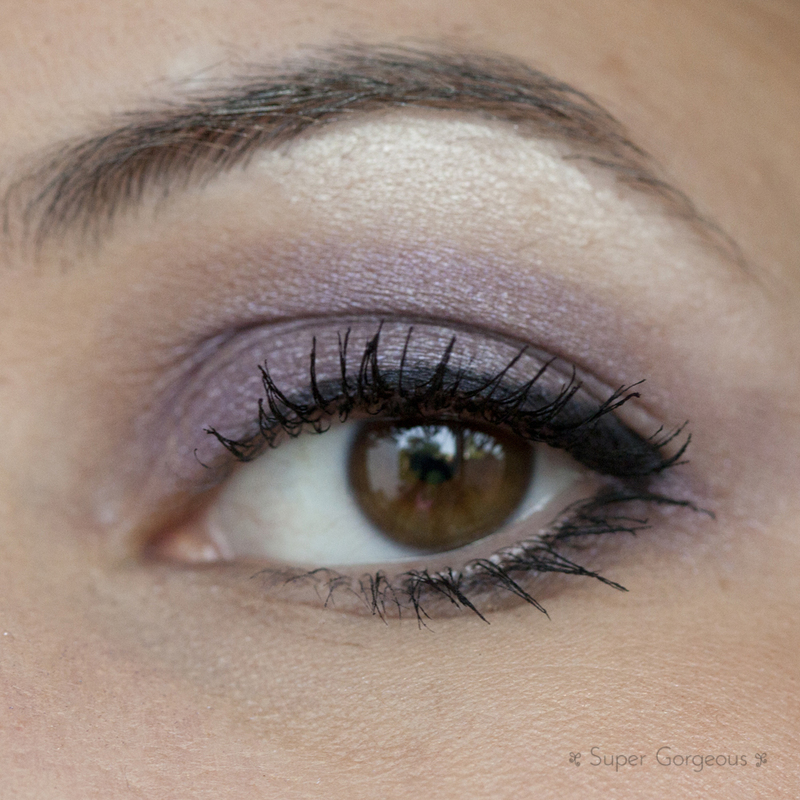 I've never really worn a full purple/blue eye before, and quite like how it compliments my brown eyes. This was the trio I was immediately drawn to, as these kind of tones are my kind of thing! I'm not over sure about the darkest colour - it has a greenish sheen to it, but I l-o-v-e the midtone shade, again, I would totally buy this as a singular colour. Once it's on the eye the greenish part isn't as prominent, but this trio of colours work wonderfully together to create a smoky brown look. 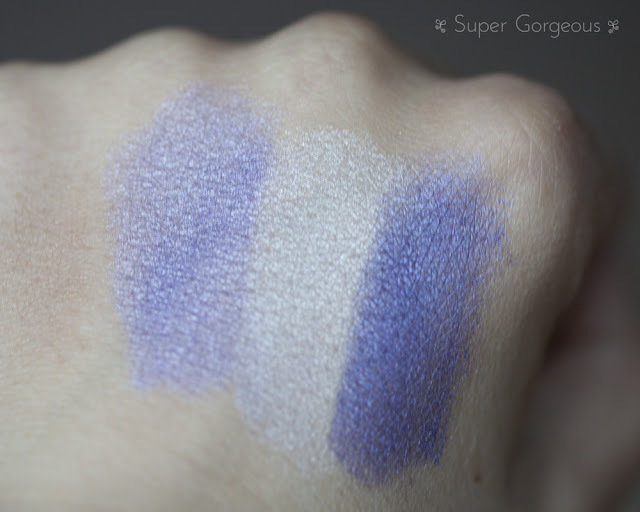 I love that MUA have put three colours together that compliment each other, making it easy for people that struggle to use any more than one shadow on their eyes. Each trio I have tried, I have enjoyed. 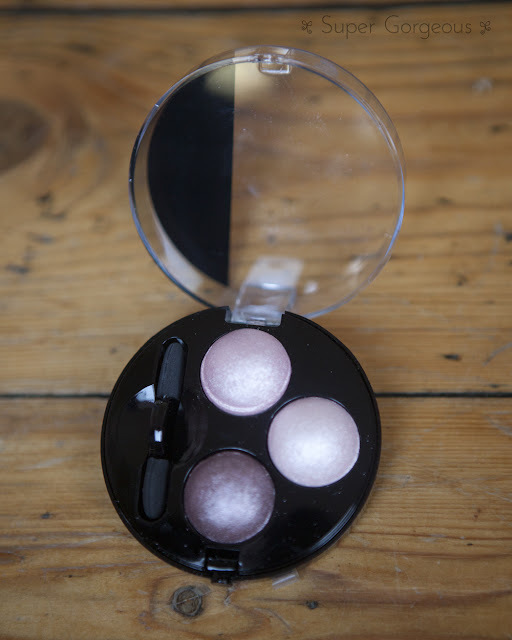 The shadows glide on easily and last all day - worth much more than the mere £2.50 they cost. Get some! MUA is available at Superdrug. Have you bought any of the trios? What do you think? I love Innocence! Very nice bronzey shade! I wish I had picked up some of these trios when I was in the UK as they all look lovely. I also really like how they all compliment each other so it's easy to throw together a look. Beauty eyes :)! 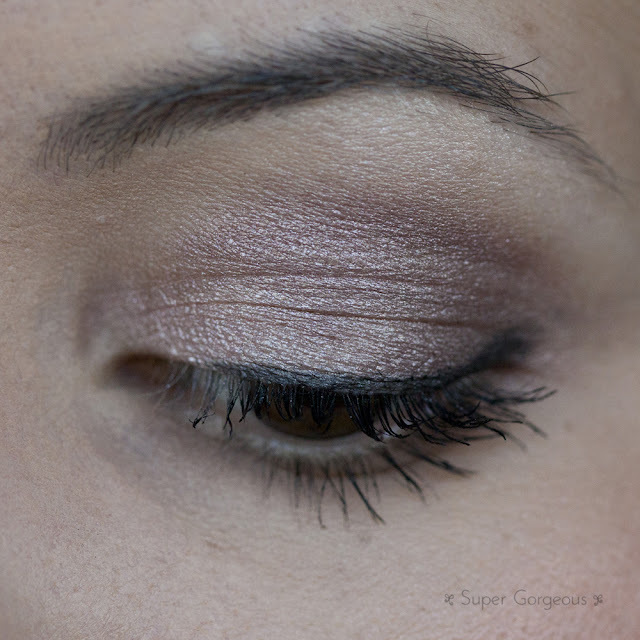 I like eyeshadows MUA! Lovely colours! I think that Innocence really complements your skin and eye colour.